COMMENTS: I love using these for my bath salts! COMMENTS: This dead sea salt made the best scrubs!! COMMENTS: Use it in Balt salts, my customers love it. COMMENTS: Love the look and feel of this salt. Perfect size for foot soaks. Takes oils and fragrances nicely. COMMENTS: Love the large size. Works well for soaks. COMMENTS: Love the course grain size! Perfect for foot scrubs & salt soaks. COMMENTS: I used these for various bath salts and intend to make some scrubs as well. COMMENTS: Great for bath salts. I use these for mixing various sizes into my recipe. COMMENTS: I love these for my bath salts! COMMENTS: I was so excited to try Dead Sea Salts in my bath salt recipe, but very disappointed to find small rocks and pebbles mixed in with the salt. During my busy season, I don't have time to hand pick through 55 pounds of salt looking for rocks. COMMENTS: I love this salt in my bath salt blends. They're just the right size, hold color well, and contrast smaller salts nicely. They also dissolve easily and hold scent well. Definitely a good salt for bath products. COMMENTS: Sticks well to soap and mixes well with scrubs. 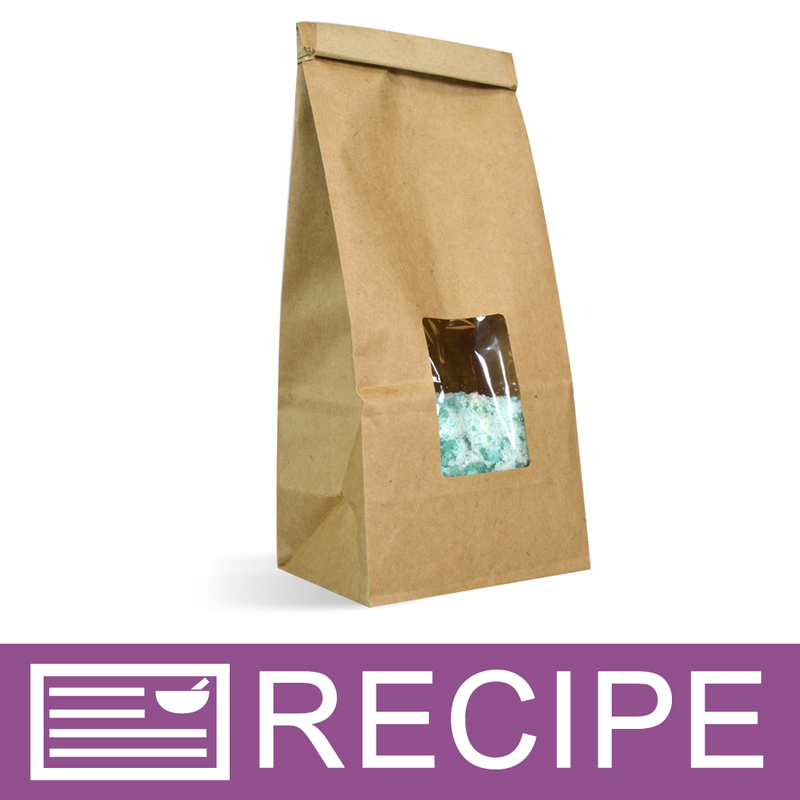 COMMENTS: The salt is awesome for handmade businesses who aim for great quality and well mad health products. COMMENTS: I love this stuff! So nice. COMMENTS: Love the size of the salts for my bath salts. COMMENTS: Coarse grain as described. Great for bath salt mixes! COMMENTS: Use this in both my scrubs, and my foot soaks. COMMENTS: love for bath salt soak and body scrubs!! COMMENTS: FUN texture and size to add to soaking salts, I love the way this one looks in a layered salt with herbs!! I feel customers also like seeing this salt on the ingredient label. COMMENTS: I use this salt for all my scrubs and bath salts. Holds fragrance beautifully. I do find occasional tiny rocks but that is to be expected from a course sand from the ocean. This also colors beautifully with mica. Best to mix mica into the dry salt before adding oils. COMMENTS: These salts looked so pretty mixed with the European medium salts ! Love them ! COMMENTS: I purchased these Dead Sea Salts recently and had a chance to make my first batch of bath salts today. I am so very pleased with the results. I mixed them with European Sea Salts and colored and fragranced them. They take both the colour and fragrance very well. I plan on giving my first few batches to my family as gifts, but I think that they will be a great addition to my product line. "Great salt, but crystals a little too big"
COMMENTS: My baseline bath salts recipe is half of the coarse grain sea salt, half fine grain. These salts are a wonderful product on their own, but roughly 1/3 of the coarse crystals are too big to dissolve in the bath quickly. I will continue to use these, but will use a slightly smaller ratio of coarse to fine grain salts to make up for it. Also, as these are natural sea salts there were some impurities in mine. They don't bother me and I won't be picking them out of my products (they make the salts feel more authentic to me), but if you're looking for only completely white/clear crystals, you'll be disappointed. COMMENTS: Love them. Very satisfied! "Excellent salts for bath salts "
COMMENTS: These are great for my body scrubs. The size is perfection for a nice gentle exfoliation. I love all the benefits of dead sea salt! COMMENTS: I use so much more of this for my personal use than I even get out the door! One of my favorite salts to come home and soak in. COMMENTS: Use it for my bath salts and the customers love it! COMMENTS: I really thought this would be a stellar addition to my scrubs and bath salts, but they didn't live up to my expectations like others I've used in the past. It took too long to dissolve and it was too big for my scrub. COMMENTS: The salt itself is nice, but this particular one is not meant for cold process soap in my opinion. The coarse grain is very scratchy. "I am so not salty about this salt." COMMENTS: Salt is such a common item, you almost can't even think of all the uses it has. But, with a little Ingenuity I've been able to use this amazing quality salt for dozens of different products. 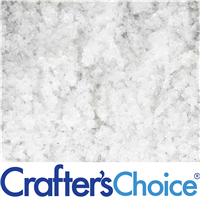 The coarse grain works great for bath salts and homemade fabric softener, and you can just pop it in a food processor for a little bit if you want something finer for use in bath bombs or scrubs. A great, multi-use product for a very affordable price. COMMENTS: Love this and an upsell that it comes from the Dead Sea! 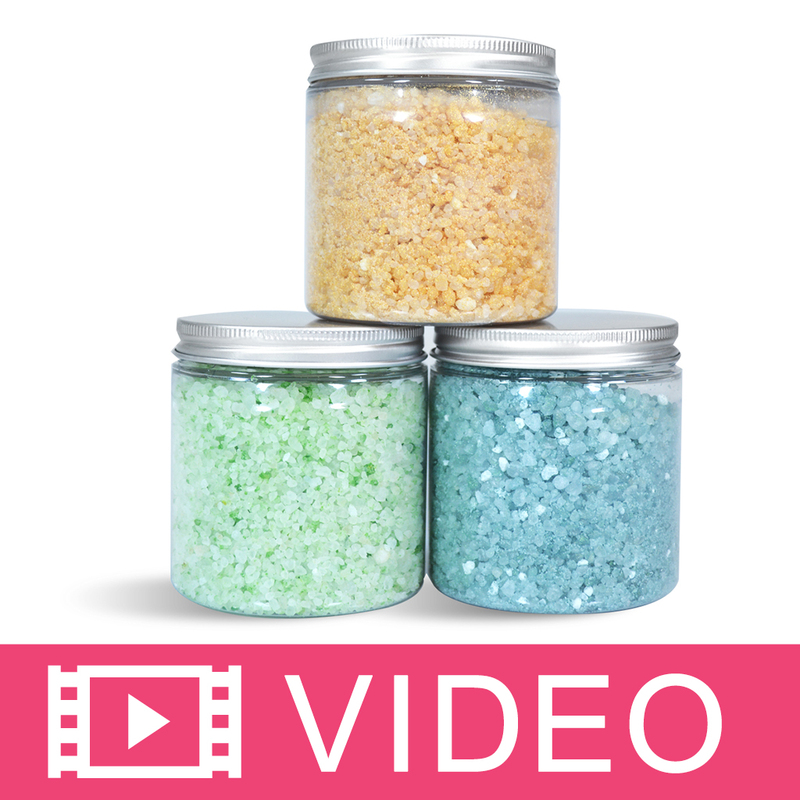 COMMENTS: I love the course grain dead sea salt for my bath salt products. The course grain is very attractive in the packaging and adds extra label power. The bags are manageable to handle and zip closed nicely. COMMENTS: Good component of bath salt blends. COMMENTS: I use this in my oily salt scrub. It's pretty coarse, so I definitely advise customers to be gentle with it. It works well and looks great. Feels excellent on my feet. COMMENTS: This is my favorite type of salt to use in most of my sugar/salt scrubs. COMMENTS: This was my first time making the bath salts and the mixture of Dead Sea Salt and Espoms was AMAZING. Great quality. 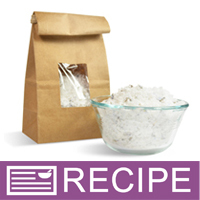 COMMENTS: I made bath salts adding this salt to Epsom Salts. I added color to the coarse salt and left the Epsom salt white. I used lavender color and added lavender buds. I used pink mica and added love spell scent. Came out wonderful. COMMENTS: This is by far the best quality Dead Sea Salt that I've ever used. Highly recommended for anyone wanting a top quality salt. Great in my bath salt blends! "Alot of bang for your buck"
COMMENTS: I didn't know what to expect before recieving this. There's alot in the package, I will be able to stretch this pretty far. Worth the price! COMMENTS: Works well in my bath fizzies! COMMENTS: Coarse grain Dead Sea Salt looks amazing sprinkled on the top of Olive & Aloe MP soap in a round soap mold. Customers love the fact that the soap contains sea salt. I also use this to make Dead Sea Salt foot scrubs with Eucalyptus and Mint in Soy Oil. It also helps some of my customers with itchy dry skin. They love it! Blend coarse grain with pure Dead Sea Salt for a silky smooth relaxing bath salt. Holds fragrance and color very well. COMMENTS: I just love this salt. It works amazing in my bath salt blends and scrubs. I can't wait to try them in my soaps & bath bombs! COMMENTS: I found a recipe for Sea Salt Bath Bars - made it with this salt - looks fantastic, feels great! COMMENTS: This is my go to when i make salt based scuba. My customers love the grain of the salt and how it exfoliates. Will continue to purchase this product. COMMENTS: This is a great sea salt. Takes dye well. "Great price and quality "
COMMENTS: Very luxurious product, perfect when used with dendritic salt to hold fragrance. Blends well with mica colors. COMMENTS: I used this in my lavender and peppermint bath salt and it is amazing. This salt looks great mixed with the fine grain sea salt. Will order more. COMMENTS: I add a little bit of this into all my sugar scrubs, makes it a little more coarse for a better exfoliation! COMMENTS: I am very happy with my purchase of the coarse grain dead sea salt. It's a great addition to my foot scrub and gives the perfect amount of exfoliant to my product. COMMENTS: Makes my bath salts and bath bombs awesome.- also use in my salt scrub. They hold my Young Living essential oils great. They are great alone to - just plain jane. COMMENTS: I use dead sea salt in my lavender bath salts. I'm going to try them in a scrub sometime. I highly recommend them. This is the best price for quality I have found. COMMENTS: These salts worked great for bath salts products. They absorbed colors and oils perfectly! Love working with them. The quality is great too. They look nice too. COMMENTS: I use this product when I make sea salt scrub. COMMENTS: I am very happy with this product. I am using it in bath salts and love it. COMMENTS: I use this product when I make sea salt scrub. Very happy with it. "Awesome for bath salts & body scrubs"
COMMENTS: I purchased this product, along with the epsom salts and baking soda. I purchased the 5 lbs bag and I have to say I love it. While mixing the salts and the other products it held onto the scent amazingly well. And held onto the color. I love also LOVE the resealable bags these prodcuts come in. I am now ordering more as my bath salts sold out in a matter of days! Love this!!! "You literally can't beat the price and quality!" COMMENTS: WSP has nailed the salt market, in my opinion! All of their salts are so gorgeous and perfect for making bath bombs, bath soaks, bath salts, and bath teas! COMMENTS: This product is great to add a bit of luxury to your salts. COMMENTS: I got this to make salt scrubs which it is great for. I tried to top hot process soap with it, do not try this at home! It made a watery mess, I've read about not using Dead Sea salt in cold process soap but after reading an article about a person using it successfully in hot process I decided to give it a try. Bad idea, fortunately I only added it to the tops which I'll have to remove. So I'll stick with its intended purpose. COMMENTS: Great to make sea salt soap. COMMENTS: I ordered this corse grain Dead Sea Salts, and purchased the fine grain at the same time. I had thought about mixing them in my scrubs, but the course grain is a very large grain. I'm going to try to grind them up smaller in my food processor so I can actually use them. "Love in my salt soaks"
COMMENTS: Wonderful addition to my salts for the bath. COMMENTS: I rec'd these as part of a kit...they're nice. COMMENTS: very nice and large salts. I mix these in my bath salts with the smaller and some pink himilayan. I love them! COMMENTS: Gives bath salts a nice variation in texture. "Great benefits on this salt"
COMMENTS: I love to use it on my soaps that contain brine. COMMENTS: I have only tried the Europen corse bath salts. I like the dead sea salt better. It dissolves very quickly in my baths. "great for bath bombs and bath salt"
"Do not use in soaps"
COMMENTS: We made a margarita lime cp soap. We sprinkled the salt on top along with some glitter and mp limes. The salt leached the moisture out of the soap. It made the mp limes gooey, and look terrible. We will not be able to sell these. COMMENTS: Wonderful for bath salts. Too coarse for use in body scrubs. COMMENTS: Love this for my bath salts! COMMENTS: I use this as one of the salts in my bath salt blend. The coarse grain gives it more visual appeal when mixed with other salts in smaller grains. COMMENTS: Wonderful. I love to use it in my scrub,bath tea & spa bars. COMMENTS: These bath salts were sufficient for their purpose. They came in an easy to use package. Unfortunately there were some rocks mixed in that had to be sifted out. I would buy them again. They were simple and easy to use. COMMENTS: I bought the course Dead Sea salts to make bath teas. I added my essential oils and then spread the salts out over night to dry on a tray and the next day it looked like I just took them out of the bath. They were melting. I used 1/4 cup of salts to 4 drops of lavender. What did I do wrong? Do I need to add something to this to absorb the moistur? WSP Response: It sounds like the salt may have drawn humidity out of the air. We have never seen this before but it is possible in certain areas of the country. I would package after scenting. Also make sure you are using certified essential oils that are not diluted with water based solvents as this can cause an issue too. COMMENTS: I brought to try out and use to wash hands and feet adding oils. It was excellent. COMMENTS: Nice quality, clean salt. Easy to work with. Results in a nice product. COMMENTS: I use this salt in the bath and as a scrub, but it turns green and crumbly in M&P. WSP Response: Would need to know specifics as to customers recipe to know why this happened. COMMENTS: I LOVE LOVE LOVE everything about DEAD SEA products because of the remarkable qualities they are known for as beneficial to our bodies!! I find them sonetimes getting a bit wet,but just bake them on 225 for 20 min and stirring at 5 min intervals. They are SPECTACULAR ALONE or in salts and terrific in masks after grinding in a coffee grinder if used as a skincare ingredient. 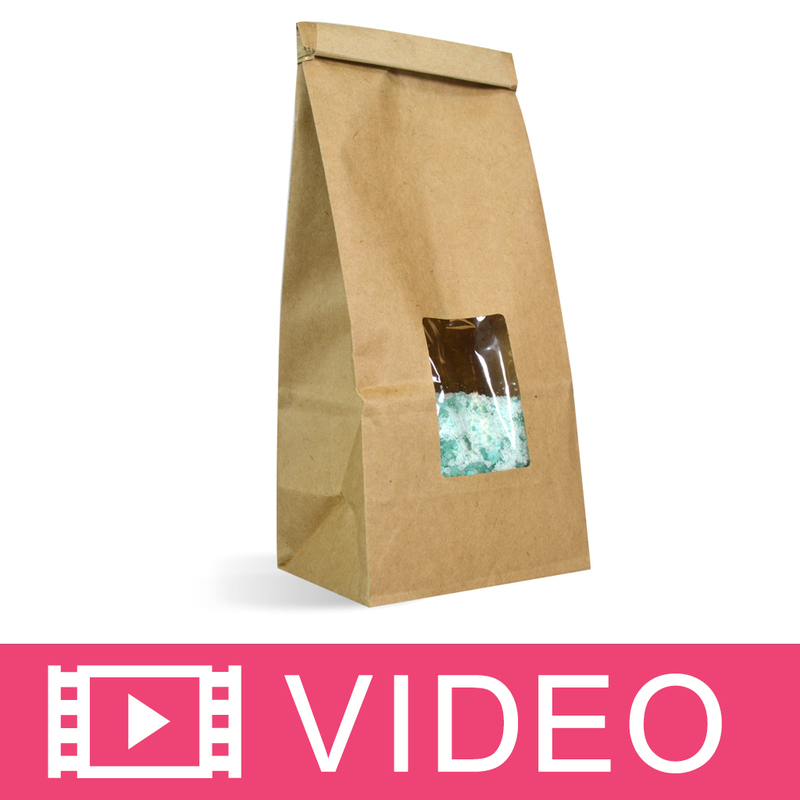 COMMENTS: Dead Sea Salt is the best for Salt Scrubs and as an addition to my Bath Salts. I Highly recommend this product! • The way it works in my products! COMMENTS: I love to add these to my bath salts for an extra special touch. My customers love knowing that dead sea salts are in there! This is the first time I used your brand, and although there were several grains that were "whiter" than I am used to, that didn't matter a bit in the finished product. Love them! 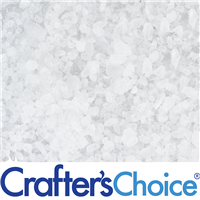 "dead sea salt course grain"
COMMENTS: Blends easily with oils and colors. Love it. "Using in bath salts - smells great"
COMMENTS: Smells like a very strong SALT scent... (not weird, just a pleasant scent of salt). I love this crystal size in a mix with other salts. COMMENTS: I use this with my bath salts mixtures. Customers love them! COMMENTS: Love this product for my salt blends. It is great quality. I have tried from other companies, but this is my favorite. COMMENTS: I mix these in to add more benefits to my bath salts. Perfect addition to a luxury bath product. COMMENTS: Hands down, the best salt for bath salts! COMMENTS: I have already used these in several recipes...one was the coconut milk and lavender bath salts. That was so popular that I will be working up a new batch. I do like to mix the different size grains of these salts in some recipes. This salt is of great quality and they seem to dissolve well. I like that come from the Mediterranean Sea. COMMENTS: I used these in my Bath Teas, Bath Salts and mixed with other salts in some of my scrubs, they work wonderfully. I have had no complaints and they hold up well. COMMENTS: These do make beautiful bath salts! I like to use a variety of sized salts for appearances & never have an issue with them not dissolving fast once in bath water! COMMENTS: Works great with fragrance oils and customers love it. Its so easy to work with. Another great product from WSP. COMMENTS: I love a mix of a variety of salts and this is a great addition with the coarse grain. It mixes well with my variety of salts. COMMENTS: Very good product. I like the way they package it. Makes it easy to store it. COMMENTS: I use the Dead Sea Salt in soaps and salts, everyone loves it!! COMMENTS: Perfect for bath salts. I make my own blend and this makes it extraordinary! COMMENTS: This is a great quality salt. I have used it in bath salt and in salt scrub. I love the detox benefits it adds to the final product. The size of this is really good. I mix course and fine for a salt scrub and it's perfect. COMMENTS: I've loved Dead Sea Salts since I first tried them many years ago. The ones from WSP are both higher quality, based on results when using, and lower priced than those of other vendors I have tried. There were very few duds in the package I received. I will definitely reorder this product. COMMENTS: I love the size of this salt. I use them for bath salts and they price is excellent. COMMENTS: Quality is definitely here. I love dead sea salt and the properties it adds to my fizzies and bath salts. My customers can tell it helps their joints. The coarse grain is beautiful to display all by itself. I personally will get the finer grain next purchase. I had to run it through a food processor before adding to my products, was a bit too large. COMMENTS: After adding some Lavender EO, this is a great point-of-sale item at the register. Great price, too! COMMENTS: These make incredible detox bath salts this is the 3rd or 4th time I've ordered them and will continue such a great price!! I add some L.A.L. for incredible bubbles and some baking soda, a few essential oils to improve the detox, and just kick back and relax and allow the salts to do their magic. They also area great addition to my bath fizzies so soothing for the skin. They easily take essential oils and fragrance oils. I've also used them in my smelling salts just add a few drops of essential oils and put in small jar, I have some that I made for headaches that are going on six months with out having to replace essential oils so they hold on to fragrance very well. Thanks Wholesales Supplies Plus for such a great product at such an incredible price!! COMMENTS: I colored and fragranced these to use as bath salts, they work great. If you grind them up a bit, they work wonderful in all your body srubs. COMMENTS: This is great on my painful arthritis, draws out alot of the pain from my spine. Great seller! "Is the Dead Sea salt the coursest of all salts offered by WSP? If not....which one is the largest grain? " Staff Answer The Dead Sea Salt - Coarse Grain is the largest grain we offer. 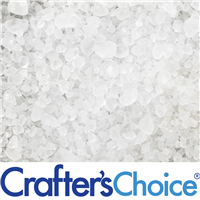 "I ordered a bulk size of the course grain dead sea and found a couple of black specks. What are those? Is it black sea salt?" Staff Answer The black specks that you found in the dead sea salt are most likely minerals. Sea Salt organically contains an abundance of minerals, and since this product is naturally excavated it is not uncommon to see minerals from time-time-time. .
"How much essential oil should I use to scent one pound of dead sea salt for bath salts? Most WSP recipes use fragrance oil at around 3%, should the essential oil be the same or half at 1.5%? Julie"
Staff Answer Yes we recommend 3% for FO, and using 1% for EO. So if your using an FO you can add 14.5 ml. And you can add 5ml of a EO. "Is this dead sea salt certified from Israel? Is it processed or refined?" Staff Answer Our Dead Sea Salts are from Israel but we currently do not have any certification programs in place. The salts are refined to remove any unwanted particles. "What is the best way to add color to this salt for a colored scrub? " You can use WSP's mica powders, or liquid colorants. I use both for salt scrubs and they work beautifully. Don't forget that you can mix your own colors to get the look you're going for. When coloring salt I prefer to use WSP's liquid colorants. I find that in my own personal experience, that more color adheres to the salt and it's easier to get the exact color you're looking to create. I tend to always use mica's. There may be a time I may want to use liquid colorants- but mica's have always been a good choice for me. Very easy to use and a very tiny amount can color alot! "Would this be a good salt for a CP salt bar?" Staff Answer Dead sea salt is not recommended in soap. It attracts so much moisture that the soap often stays soft. "Can coarse grain salt be used as an exfoliant? What grain of salt is recommended?" It certainly can! I think it is all a matter of personal preference on the size of the grain. With the coarse grain, you can start big and work your way down if you would like a finer grain. Just throw the salt in a processor for a few seconds for a finer grain if needed! Any grain of salt can be used as an exfoliant. It is a matter of personal preference. Some of the thicker grains can be "scratchy" to the skin for some people and perfect for others. I'd suggest experimenting and grinding it down (in a coffee grinder) depending on how you want to use the product. You can use salt as an exfoliate, but it is a personal preference and will vary depending on the area of skin you are using it on. For example, elbows are tougher and can take a more abrasive scrubbing, but you might not want to use it on your face if you have sensitive skin. I use this coarse grain on places that really could use it, like my heels and elbows! But I definitely grind it down for more sensitive areas like my face. "Why does it say on the bag "For external use only"? Are there any additives to it? who supplies wsp with this product?" Staff Answer The country of origin of the dead sea salt (coarse grain) is Israel, and they only contain sea salts. They say "For external use only" because they should not be ingested. This is because we are not an FDA-approved food packaging facility.